The Visa Waiver Program (also known as the VWP) is a federally run program of the United States which awards citizens of specific countries the ability to travel to the United States for up to 90 days without a typically required visa. Those who obtain visa waivers are allowed to travel and reside in the United States, for business or tourism, without having to obtain a form of citizenship. The Visa Waiver Program must be followed by all 50 states, as well as Puerto Rico, and the Virgin Islands. Those citizens that are granted visa waivers, are typically from developed countries with high-income economies. In addition, the permissible countries for inclusion in the Visa Waiver Program typically possess a high Human development Index, meaning they are regarded as advanced nations with similar societal frameworks as the United States. The Visa Waiver Program primarily extends benefits or privledges to those advanced countries in Europe, however, six additional countries are awarded the ability to travel for up to 90 days without the inclusion of a visa. The United States' Federal Visa Waver Program awards the underlying privileges to the citizens of the following Oceanic and Asian countries:Brunei, Japan, South Korea, Singapore, Australia, and New Zealand. Visa Waivers for citizens of the aforementioned nations offer simplicity and ease for a traveler. 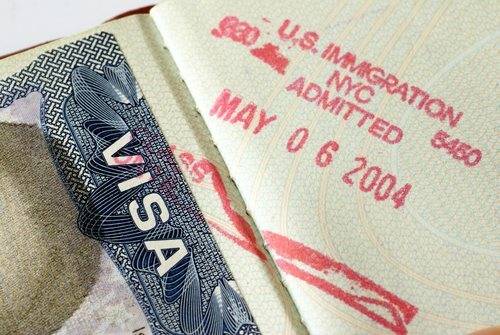 To be eligible for the Visa Waver program an applicant must submit an application through the Department of Homeland Security's Electronic System for Travel Authorization. The Electronic System for Travel Authorization is a fully automated system that screens passengers before they travel with Visa Waivers. In order to travel without a visa, an individual from one of the above countries must submit an ESTA application before they embark on the united States. Those using Visa Waivers to travel are strongly encouraged to apply for authorization once their trip to the United States is planned. Federal law, through an amendment passed on January 12, 2009, requires that all individuals traveling via a Visa Waiver must obtain approval through the Electronic System for Travel Authorization before traveling to the United States. To obtain an application an individual must contact their local government agency or locality to inquire about the country's specific regulations and requirements associated with the participation in the Visa Waiver Program.